Come see Steve Zmark’s award-winning photographic exhibit all of December! The 7 photographs on exhibit are from Zmak’s award-winning Expressions of Infinity portfolio of B&W science fiction nature abstracts recognized by B&W Magazine, International B&W Spider Awards, and Center for Photographic Art. 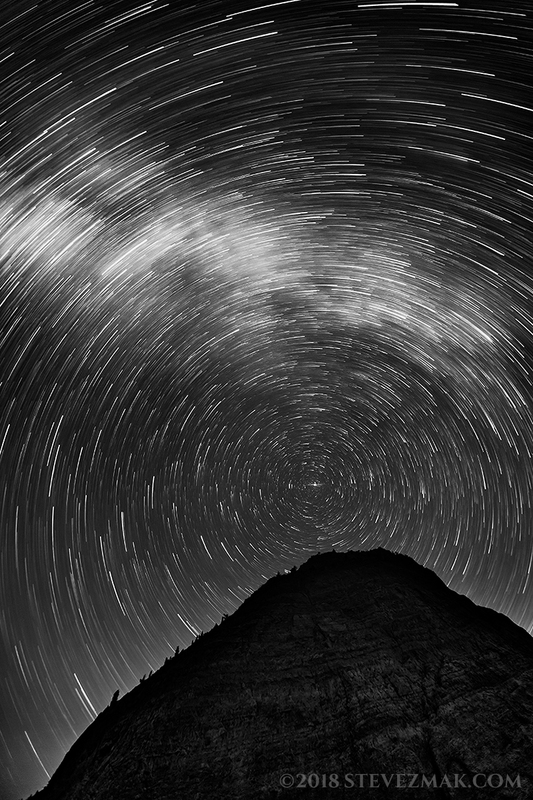 The newest addition to the portfolio was added 2 months ago in Montana, a 45-minute-long exposure at night. The winery, estate vineyard and tasting room are the first winery (a big white barn) driving south down River Road from Highway 68 before you get to the Chualar bridge. Zmak has been a wine club member there for more than 3 years and particularly enjoy their Petite Sirah, Malbec, Sangiovese, and Chardonnay. Additionally, there are a number of Zmak’s gift items for sale in the tasting room: 11×14″ prints, A Year In The Vineyard books, and vineyard note cards. Zmak will have a new exhibit there February 2019. See more of Zmak’s photos on his website: SteveZmak.com.